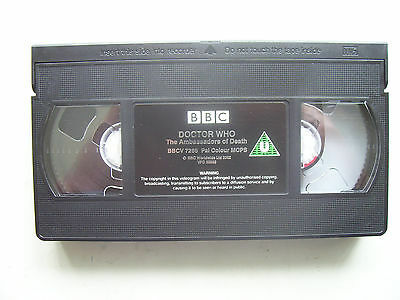 This tape features over 90 minutes in colour, with the remaining material in Black and white. The Doctor and UNIT are given the task of investigating the mystery, as Recovery 7 returns to Earth. It appears that no one can be trusted, as the space capsule is hijacked from its UNIT convoy with military precision. What has happened to the missing astronauts? Could this be a secret invasion from Mars, or is the enemy much closer to home? As the Doctor plans a daring space mission of his own, his assistant Liz Shaw goes missing. Who is working against UNIT in order to bring mankind into conflict with an alien race?